California Octobers have the kind of weather that our colder northern neighbors would most likely envy. Most days the temperature sits around 80 with a warm breeze. But those warm breezes can also bring disaster. This October, there have been wind-blown wildfires that have destroyed beautiful hills and homes. When I took this picture, I remembered the last time I saw the sky like this – it was last October, and I was being driven to the hospital while fires burned in the hills and valleys of LA. The smoke in the air and the setting sun made it look like the sky was on fire, too. I’ve been so busy lately that I haven’t thought much about the events of last October. I was still on bed rest, only allowed to stand up long enough to use the toilet or take a five-minute shower. I never knew what the days or nights would bring. Every time Maddie kicked in my belly, I had anxiety. Every time she didn’t kick, I had anxiety. I could only sleep for an hour or two at a time. I would watch fire coverage on TV at 3 am and I’d see the looks of fear and anxiety on the faces of the residents whose houses were dangerously close to being enveloped by flames. I knew that look. It was the same one I would carefully cover with a positive expression during the daylight hours. I entered the hospital on October 24th, my mom’s birthday. I’d been throwing up and had stomach tenderness and a growing fever. I went to the hospital for overnight IV fluids, and I didn’t leave until 36 hours after Madeline was born. Some people would think entering the hospital would be the worst part of the pregnancy. It wasn’t. Every time I’d see my OB or specialists and they didn’t admit me to the hospital, THAT was the worst part. It was like being one of those residents with a house about to go up in flames. It’s scary, but if there’s a fire crew down the street you know they’ll be there with the hoses to put out any fires. I longed to have my emergency crew nearby – I wanted skilled doctors and nurses right outside my door. Reading through the archives of my hospital stay, I surprised myself when tears came to my eyes. I was transported back to those days and all the things I didn’t say. The seagull that used to sit at my window reminded me of how it comforted me when I was alone with my thoughts. The three-day massive migraine that my nurses and doctors feared could be a sign of Pre-Eclampsia, something I kept to myself. That being diagnosed with gestational diabetes scared me more than anything, because I honestly didn’t know how I would manage to eat my required 2,500 daily calories without ice cream and apples – literally the only things I could manage more than two bites of before I’d get nauseous. I didn’t write any of this stuff down, and I’m trying to remember WHY. Was I protecting my worried friends and family? Was I in denial? Or was I too afraid to document the volatile emotions that swirled inside me like sparks in a firestorm, unsure of the damage they could cause? I’m supposed to see a therapist to help me with my postpartum issues. I have the number of three Doctors who specialize in PPD, but I have yet to call any of them. I haven’t wanted to delve into my pregnancy. I haven’t wanted to relive all those feelings. Even though it’s been a year, I just need more distance before I can go back to the scarred terrain of October 2007. The grass and trees are starting to grow again, and I’m rebuilding, but it’s a slow process. Tagged: Bed Rest Isn’t Restful, Heather, No One's In The Hospital, Pregnancy Is…Fun? PUPPY VS. BABY!! !PUPPY VS. BABY!!! Heather~ From one of your lurkers who rarely if ever posts comments on anything; this post was extremely touching and beautifully written. I cannot imagine what you went through with your pregnancy with Maddie, as mine with my Maddie was so normal. I cannot imagine the worry and concern you & Mike faced during those early days, and I know that no matter what type of brave face you put on, the worry and concern will continue to linger. 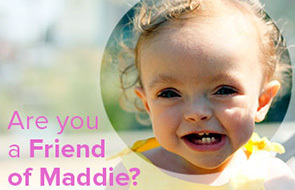 I do know these things, Maddie is a beautiful little girl, her eyes light up a room and that smile of hers is overly contagious; you & Mike are incredible people and parents; and you, my dear, are amazing, in the way that you put yourself out there, you share your life with people and you entertain us. Whenever you’re ready, go see the therapist so it can help you move past last October; but I understand that you still need more time…just don’t wait too long. As you said, the rebuilding process is a slow one and you’ll get through it in your time. You’ll succeed. Big hugs today, because I think today is one of those days that you just need them. I think you wrote about this because you are starting to feel ready to talk to one of those PPD experts. You have been so strong and you have kept all these burdens shouldered for so long. It’s time to let them slide off your back. You will feel such relief when you do. Sometimes, as I have discovered lately, the strongest thing you can do is reach out for help. Honestly. Beautiful post. Wish I could hug you in person. I’m much like you – I tend to keep my feelings and anxieties to myself and am loathe to get help. But when I’ve actually taken a deep breath and gotten help, my load has gotten so much lighter and it’s been worth it. Thinking of you today. Sometimes, I dont even feel like I need to comment- as we went through the exact same thing at the exact time. I’m sure you read all of my therapy posts, about how- only now, have I started to delve into my experience. I’m not sure if what I am/ was feeling was PPD or PTSD. What we went through was traumatizing. I dont know if we would have felt this way if our girls were born on time, and if we had a reg pregnancy. I guess we’ll never know. I think you NEED to speak to someone about it. Only once I started seeing a therapist, did the walls that I built up for myself through the entire year, come crumbling down. Sometimes you need to hit bottom, to come up for air. Hi! Here from ICLW! I hope things are looking up soon for you. Heather I know you are resisting going. I have a husband who has resisted going. Now he is a month in and he’s i wish i went last year. I have had huge Post Partum stuff so I understand the angles. Please please go soon. It must be the time of year for reflective thoughts. I was just thinking yesterday of my first days in hospital. Too scared to hold Jacob. Too sad to not think of Finn. Amazing how that pain has lifted. For completely seperate reasons, I’ve been meaning to call a therapist, too. Just can’t bring myself to do it. Hey, if you do it, I will. Therapy will bring back those memories, yes, and it will be hard to relive them, in those moments. But afterward, a weight will have lifted. And then you will go home to Maddie and Mike, and the burden will feel lighter. Right now they are a pile of rocks sitting in the pit of your stomach. Talking about them gives them wings so they can fly. Silas is 5 now and I’m still not ready to deal with the pregnancy. At least the meds are working! Darling Heather. One of your dear friends said on the day Maddie was born that she was a ‘trooper.’ Well, Woodsy was right and Maddie got it from her Mom. You are a trooper. You get done what needs to be done and when it needs to be done. Now it’s time for you. One of your readers mentioned that talking with a good therapist made her load lighter. She’s so right. Let’s just say that you too will feel lighter, more in control (not less), and you’ll have increased energy and less headaches. Listen to your body…..it’s calling for you to accept the kind of assistance you so readily give to others. It’s your turn. I love you. Some things are so painful, I understand. I feel horrible when I remember how I didn’t bond with my baby girl while she was in the special care nursery. I felt like such a fraud. It wasn’t until after we brought her home that I opened up to her. I hate thinking about those bleak moments in the hospital, even though we knew she was probably going to be ok. I don’t think I could talk about that, either. Here from ICLW. Hope things go well for you. HUGS! I don’t know much about ppd or therapy. But it sounds to me like you are touching upon some of things right here in your blog. Maybe this or a private journal will be able to help you get into therapy. I don’t know. Just a thought. Call the Doctors. It WILL be hard. But it WILL be good. Love you. Thank you for sharing – I had PPD with all my kids and going to therapy definitely helped – thank you for this post! Wow, I hear ya. It sounds like you did have a traumatic pregnancy with lots going on. Like you, I was relieved to go onto bedrest in the hospital and leave my home bed rest. I felt better knowing the doctors and nurses were RIGHT THERE. I’m glad things turned out well. Maddie is adorable. I think it sounds like you are ready to talk about it, at least a little bit. And you need to talk about it. That was such a huge thing in your life. And better to talk to a trained professional who can help those trees grow and everything rebuilding like it should be. This was a beautiful post and you are such an amazing woman!